This listing was taken from the Douglas 63rd AAFFTD yearbooks from 1942-1944 and the research of Paul Schlundt, who himself was a flight instructor of the Douglas 63rd. The Class column indicates the graduation year (e.g., 42) and class identifier (e.g., K) of the yearbook(s) where the instructor is found. It is not all inclusive since we do not have yearbooks for every class. The people on this page were hired by the Raymond-Richardson Aviation Company to teach the aviation cadets to fly. After leaving Douglas he flew the “Hump.” Later he returned to Macon. 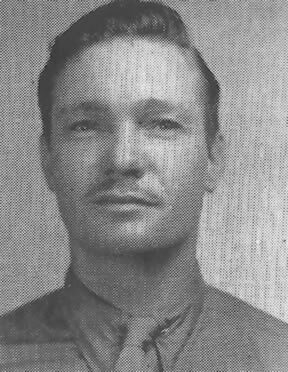 He instructed Primary in Camden, SC before coming to Douglas about July 1944. He left in Nov. 1944 to instruct French Cadets at Orangeburg SC until Oct. 1946. Was in Douglas from Nov 1941 to Nov 1942 when he joined the Navy Ferry Command at Floyd Bennett Field, NY. Was discharged as a Lt. Commander in 1946. License# 35708. Birth Date 1/26/1914. 42K, 43A. He left Douglas in 1942 to go to the Navy and was in active service until 1951. He became a Captain in the Naval Reserves at Marietta, GA. In Douglas from Dec. 1943 to Sept 1944. Left to go to A.T.C. Later instructed at Wichita Falls, TX After discharge he instructed at Salem, IL. Went to Abilene TX to cropdust in 1953. Killed in a dusting accident on Aug. 6, 1956 at Cleveland, MS.
Cadet Walter R. Atchison remembers O. A. Anderson as his instructor and remembers that Anderson may have been a barnstormer before the War. 43E, 43F, 43G, 43H, 43I, 43J, 43K, 44AWas in Douglas from Oct. 1942 until Dec. 1943. He left to spend 2 years in the Air Force. He became a 1st Lt. Also served in Korea. Won Air Medal and Oak Leaf Cluster. After discharge he flew jets for several airlines. Shot by mistake in 1943 as he was trying to enter his own apartment. He was in Douglas from Feb. 1943 and played the organ at the Pilots’ Club. He also instructed in the refresher school during 1944. He started in Douglas in Aug. 1943 and left in Aug. 1944 to go to American Airlines. 43K 44A (in Douglas from Oct. 1941 to Dec. 1944). 44A. Started in July 1943 and stayed until Aug. 1944. After leaving went through the Air Corps Cadet Program, Primary at Brady, TX; Basic at Waco; Advance in B-25’s at Pampa, TX. then he flew navigator trainees from Selman Field. 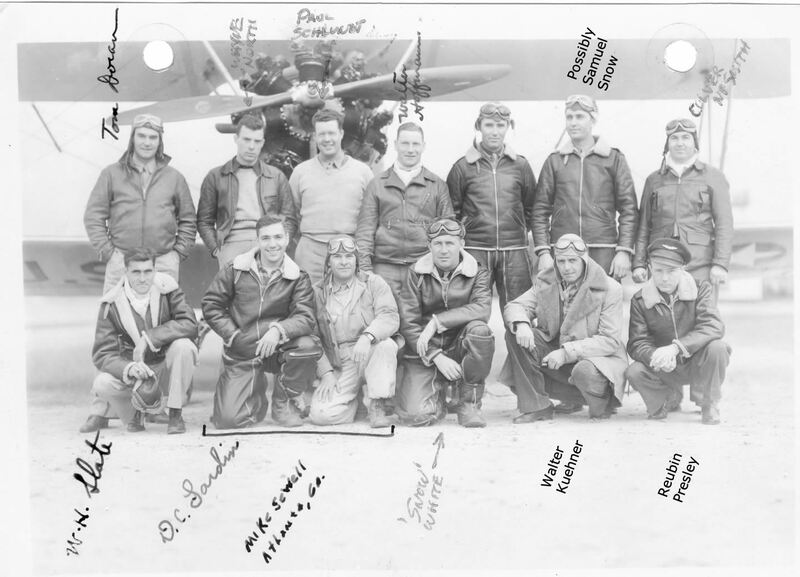 After the War he operated a local flying service at Port Huron, St. Clair County (MI) Airport. He and his wife were killed in a Cessna at night in bad weather, 15 miles north of Detroit, MI on Mar. 15, 1954. Started in Douglas with Class 44A in May 1943. He left in Dec. 1944 to go with T.W.A. Later worked for the F.A.A. in the control towers of Washington, D.C. and Greater Pittsburg. Macon, GA. Died by suicide sometime prior to 1961. In Douglas from July 1943 until Dec. 1944. Later of Palo Alto, Calif. Killed doing low acrobatics in a Ryan Trainer in North Augusta, SC shortly after he left Douglas. Went to Charleston, WV where he had a flight training school until 1952. He continued flight schools until 1964. Later moved to Palo Alto, Calif. In Douglas from June 1943-Nov. 1944. He left to go with T.W.A. in Feb. 1945. He flew Boeing 707’s between New York and Paris, Rome, Cairo and sometimes Bombay. Instructed Primary at Avon Park FL until that school closed and he came to Douglas in Nov. and Dec. 1944. 42K, 43A, 43C, 43D, 43E, 43F, 43G, 43H, 43I, 43J, 43K, 44A. In Douglas from Nov. 1941 until Dec. 1944. Left to instruct at Arcadia, FL for 6 more months. Went with National Airlines. Later moved to Miami, FL. 42K, 43A, 43C, 43D. He instructed for Brinckerhoff in College Park, MD and then came to Douglas about June 1942. He left in Nov to instruct at Maxwell A.F.B. and Cape Girardeau, MO.He received his commission in 1943. Was Contract Officer at Jackson, TN. Taught French Cadets at Gunter Field. He was being checked out in B-24’s and B-29’s as the War ended. Instructed Primary at Camden, SC before starting in Dougas in Nov. 1943. He left May 1944. Went to Anderson S.C. with 2 Stearmans that he rebuilt into crop dusters. Later moved to Pahokee, FL where he was airport manager and had a flying service and school. 43C, 43D, 43E, 43F, 43G, 43H, 43I, 43J, 43K, 44A. Started at Douglas in April 1942. Left Dec. 1944 to instruct for 6 more months at Arcadia, FL. Returned to Stockbridge, GA where he had a farm, airport, a flying school and a sky diving school. 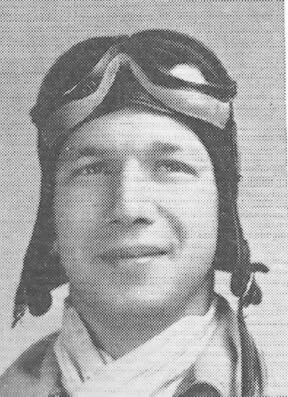 Click here for his contributions as described upon his induction to the Georgia Aviation Hall of Fame on April 26, 2014 (a PDF). Was in Douglas from Dec. 1943 to Oct. 1944. He left to go to the Army Air Corps and was discharged in 1946. Continued instructing in Air Force Contract Schools. Was a helicopter instrument instructor in Fort Rucker, ALA.
Was in Douglas with the Class of 44A in July 1943 and stayed until Dec 1943. Served in military after leaving Douglas. Was in Douglas prior to Aug. 1944 and left in Dec. 1944. He instructed in the Air Force Contract School at Bainbridge, GA 1952-1960. the instructed at Fort Rucker, ALA in the rotary wing division. Was in Douglas prior to 1944 and left in Dec. 1944. Later was flying in Rochester, NY for a flying service. Instructed at Helena, Ark Primary School before coming to Douglas in Aug. 1944. He left in Nov. 1944 to go to Waycross, GA to open a flight school. 43C, 43D, 43E, 43F, 43G, 43H, 43I, 43J, 43K, 44A. Started in Douglas in Oct 1942 and was still there in Dec. 1943. Continued flying and selling airplanes after the War. Later moved to Opa Locka, FL. 42K, 43A, 43C, 43D, 43E, 43F, 43G, 43H, 43I, 43J, 43K, 44A. In Douglas from June 1942 to Aug. 1944. Lived in Leesburg, FL where he was VP and Exec Officer of a bank. 43I, 43J, 43K, 44A. In Douglas from Mar 1943 to Dec 1943. Augusta, GA. He was killed in a Cessna 310, at night, in the flight pattern at Augusta, GA at the end of a flight from Atlanta, about July 1, 1960. In Douglas from Sept 1942 to Oct. 1944. He left to go with the A.T.C. at Cochran Field, Macon, GA.
Later lived in Macon Ga.
42K, 43A, 43C, 43D, 43E, 43F, 43G, 43H, 43I, 43J, 43K, 44A. He was in Douglas until 1944. Birth Date 9/8/1902. A native of Hephzibah, Georgia. After the War, he was a member of the South Carolina CAA examining board and was an operator of Bamberg Flying Service in Bamberg, SC. He was killed in a dusting accident in September 1955, when his plane’s wheels hit a power line. He was killed instantly. 43C, 43D, 43E, 43F, 43G, 43H, 43I, 43J, 43K, 44A. In Douglas during 1942 and the first part of 1943. 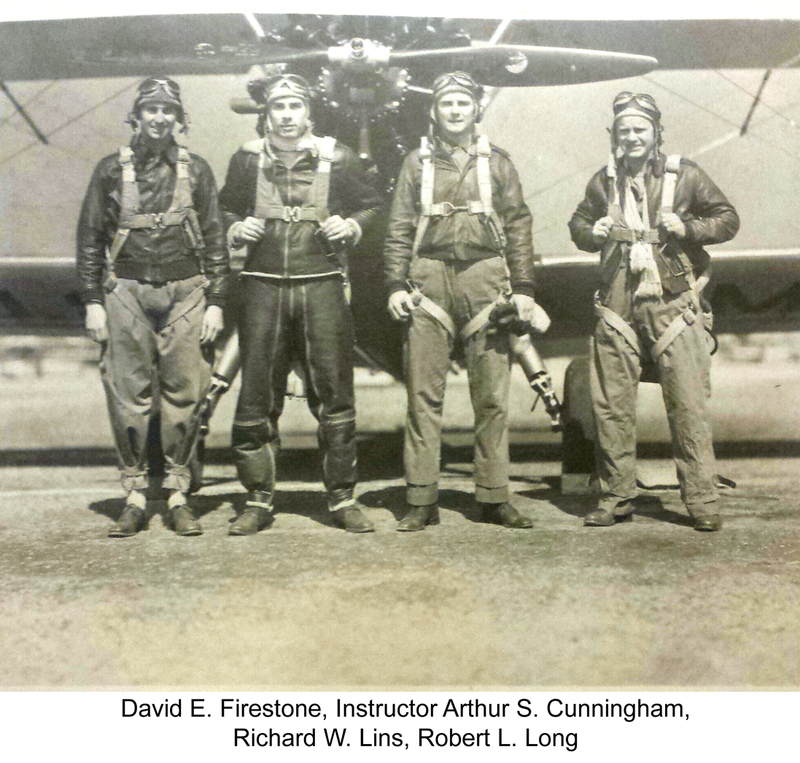 He left to become an instructor at the Central Instructors’ School at Randolph Field, TX. Later to A.T.C. in DC3’s and C-46’s in the C.B.I. Theater and flew the “Hump”. Returned to Sumter, SC where he operated the Laurens Co. airport. Then flew as personal pilot for commander-in-chief of the V.F.W. National Headqtrs, Kansas City, MO. Continued flying. Was in Douglas during 1943 and left to go into A.T.C. in Europe. Was in Douglas Jan. 1943-Dec. 1944. He left to go to Atlanta to get an instrument rating. Joined T.W.A. in April 1945. Moved to North Chatham, Mass. In Douglas from Aug. 1942 to Feb. 1943. Instructed in Big Rapids, MI for 6 months and then stoped flying with about 3,000 hours. 42K, 43A, 43C, 43D, 43E, 43F, 43G, 43H. In Douglas from July 1941 to June 1943. Had a local flight operation in DeLand, FL, but quit commercial flying in 1950. 43E, 43F, 43G, 43H, 43I, 43J, 43K, 44A (Jan. 1943-Dec. 1944). He left to instruct for 6 more months in Arcadia, FL. Metuchen, New Jersey and Edison, NJ. 43I, 43J, 43K, 44A. In Douglas from Mar. 1943 to Dec. 1944. He left to go with T.W.A. Became captain on B-727’s based in Cairo then in New York City. Died in 1953 in Arcadia, FL in a pick-up truck accident. Flight Instructor. Took over the Instructor Refresher Course in his last year. 43C, 43D, 43E, 43F, 43G, 43H, 43I, 43J, 43K, 44A. In Douglas from Sept 1942 to Dec. 1944. Had a sign shop in Sumter, SC then in Jacksonville Beach. 43E, 43F, 43G, 43H, 43I, 43J, 43K, 44A. In Douglas from Nov. 1942 to Dec. 1944. Instructed at Arcadia, FL for 6 more months. Miami, Florida, the Ft Lauderdale, FL. License# 196016 Birth Date 5/1/1911. Instructed in Miami until 1949 then went with National Airlines. Later flew on C-46’s for Carco Air Service on Atomic Energy Commission contracts in Las Vegas. 42K, 43A, 43C, 43D, 43E, 43F, 43G, 43H, 43I, 43J, 43K, 44A. In Douglas in June 1942 and left in Dec 1943 to teach Basic at Ga Aero Tech at Augusta. This school closed and he joined the Air Force in Oct. 1944. He received his commission and wings in Oct 1946. Quincy, Florida, and had a restaurant in Douglas, GA. He became a 2nd lieutenant and served in Okinawa in Aug 1947. Discharged in June 1948. Became a Major in the Air Force Reserve. 43I, 43J, 43K, 44A. In Douglas from Mar. 1943 to Sept. 1944. After the War, flew for commercial airlines. 42K, 43A, 43C, 43D. Left Douglas about Nov. 1942. He was in the Berlin Airlift and the 51st Fighter Group (Wing) in Korea. At Gieger Field as Commander, U.S.A.F. Fighter Sqdn flying F-105’s. Director of Operations Section, 13th Air Force, Clark A.F.B., Phillipines in 1965. 43C, 43D, 43E, 43F, 43G, 43H, 43I, 43J, 43K, 44A. In Douglas Aug 1942-Dec. 1944. Went to Arcadia, Fl to instruct for 6 more months. Flew with Civil Air Patrol and became a Lt. Col. and group commander. 43C, 43D, 43E, 43F, 43G, 43H. In Douglas from July 1942 to Mar. 1943 when he left to go to the Civil Air Patrol. Joined the A.T.C. in July 1944 and was in Mohanberi, India flying the “Hump”. Later flew with the S.C. and Georgia National Guards. 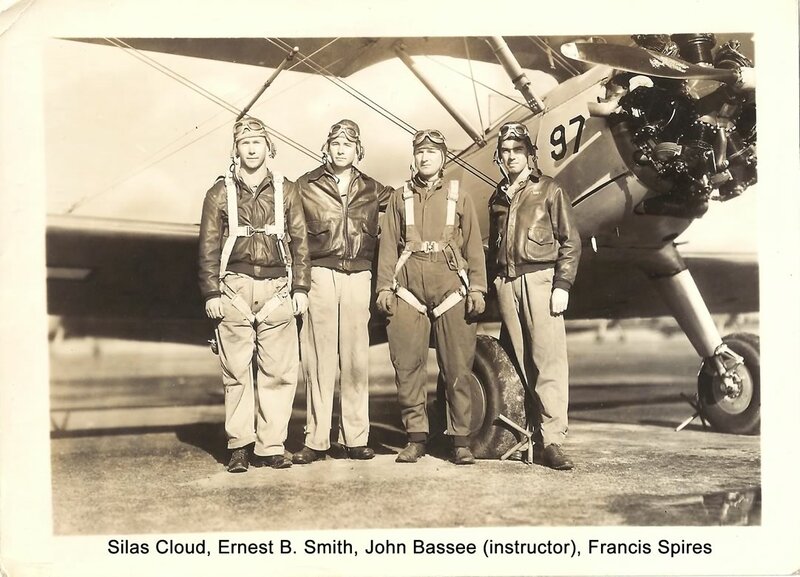 Ground School Instructor, Flight Instructor, Assistant to the Ground School Director (Mar-Nov 1942). He was an instructor at Douglas when he was 19. Taught classes 42K, 43A, 43C, 43D, 43E, 43F, 43G, 43H. In Douglas from Dec. 1941 to Mar. 1943. Then taught at C.T.D. at Gettysburg, PA. Went into Active Service in Mar. 1944. For a picture of Cunningham with some of his students, click here. Discharged as captain in Aug. 1957. Flew C-47’s, C-46’s, C-54’s and C-124’s in M.A.T.S. Also in Air-Sea Rescue. Was in North Africa, India, Europe, Pacific A-Bomb tests and in Korea 1952-1953. Later was flight instructor for the Pennsylvania National Guard in Harrisburg, PA. In more recent years, he was awarded the Wright Brothers Master Pilot Award, which recognizes pilots who have demonstrated professionalism, skill and aviation expertise by maintaining safe operations for 50 or more years. Lithonia, Georgia. Sold his interest in a granite company and moved to Ft. Lauderdale, FL. 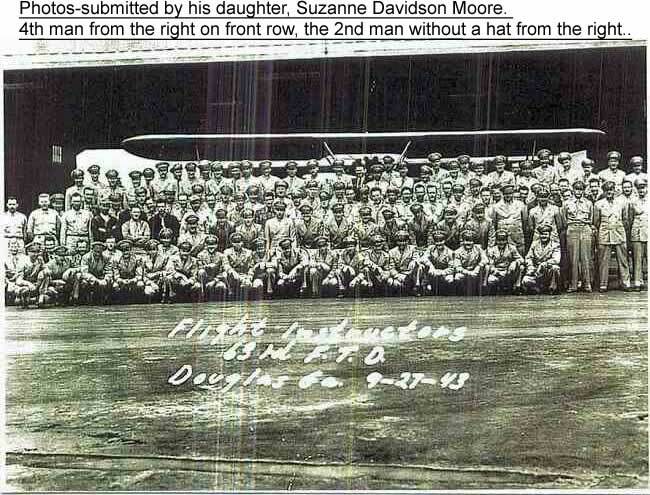 Click here for a group picture of the 1943 flight instructors. Click here to see him in front of his plane. 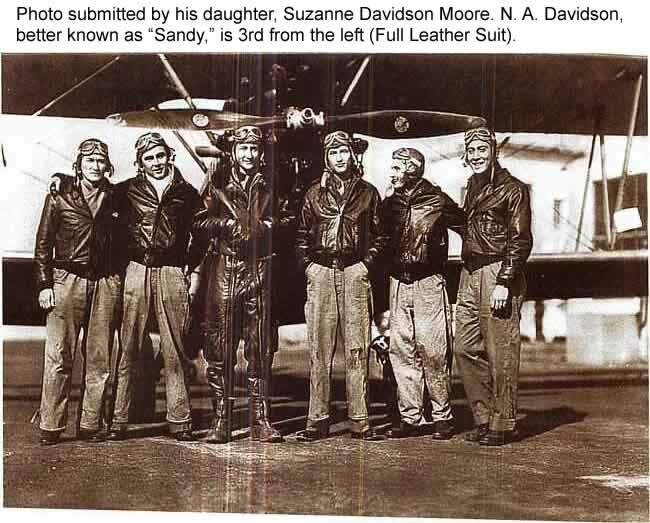 Information received from his daughter, Suzanne Davidson Moore – N. A. (Norton Alexander) was best known as “Sandy”. He was only 19, and from what the family has heard, he was probably the youngest instructor at Douglas. He started flying at 13 at the Atlanta Airport (now Hartsfield-Jackson). He was with the R.C.A.T. prior to Douglas. 43G, 43H, 43I, 43J, 43K, 44A. In Douglas from 1941 to Dec. 1944. Helped engineer and build auxillary fields and enlarge main field. Left to go to single Engine Cadet school and graduated at Moore Field, Mission, TX. Then to Williams A.F.B. for 1 year. Click here to see him in group picture. Stayed in Douglas until Dec. 1944. 43E, 43F, 43G, 43H, 43I, 43J, 43K, 44A. In Douglas Aug. 1942-Sept. 1943 to join the air force. Learned B-17’s at Sebring and B-29’s at Maxwell. Flew at Lowery Field, Denver and was discharged jan. 1946. Continued piloting after war. Married Juanita “Red” Haskins of Douglas, GA.
42K, 43A, 43C, 43D. In Douglas Jan 1942-Jan 1943. Left to go with the Ferry Div. of A.T.C. and some time with Rescue in Greenland. Discharged as 1st Lt. in Aug. 1945. 42K, 43A, 43C, 43D, 43E, 43F, 43G, 43H, 43I, 43J, 43K, 44A. Stayed in Douglas after the War to have a G.I. flight training school for several years. Birth Date 1/20/1907. Then had a Chevy dealership. Died July 30, 1961. 43E, 43F, 43G, 43H, 43I, 43J, 43K, 44A. He left Douglas to instruct at Parkersburg, WV. Had a flying service at Flint, MI. Later flew for GM. He left Douglas to join the army. Discharged in 1946. Dallas TX. Was a co-pilot for Pacific Overseas Airlines, later Trans Texas Airlines. In Douglas from Sept 1943 to Dec. 1944. College Park, Georgia then New Orleans, LA. After the War he returned to Atlanta where he had a fixed base flight operation. Later worked for Southern Airlines. Was in Douglas from 1942 to Dec. 1944 to take A.T.C. training. 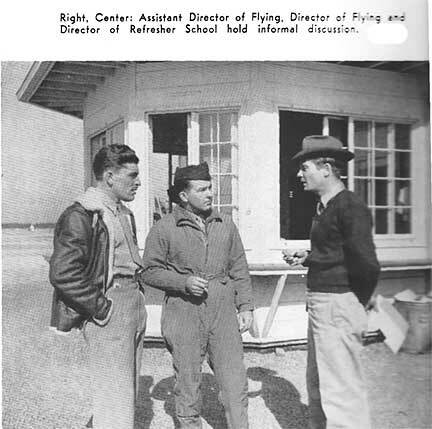 After his service he went to Benton, Maine and opened up an airport, with student and charter work on wheels and floats. 42K, 43A and probably 42J. Was in Douglas in Nov. 1941 to Dec. 1942. Left for a job with Eastern Airlines but was drafted one month later. Was in A.T.C. for 3 years flying multi-engine aircraft. Discharged Feb 1946. Spent several years as flight instructor at Greensburg, PA and then did executive flying. 42K, 43A. In Douglas from Oct 1941 to Oct 1942. He left to join the navy at Pensacola, FL. He spent most of his time in the Pacific with the Naval Air Transport Command. Discharged Aug. 1946 as a Lt. Commander. He continued to fly for the Naval Reserve until about 1964. After the War, returned to Charleston, WV and was a partner with John Bassee in the operation of a sea plane base. Later became a psychiatrist in Louisville, KY and became chief of Psychiatric Social Services. Owned and operated Alexandria Airport at Pittstown. Also in the National Guard. He was in Douglas from Sept 1944 to Nov 1944. He taught Primary at Americus for 3 years before coming to Douglas. He had a flight school at Montezuma after the War. 43E, 43F, 43G, 43H, 43I, 43J, 43K, 44A. In Douglas Dec 1942-Nov 1943. He left to join the 3rd Ferrying Group at Romulus, MI. In 1951 he started instructing at a Contract school at Kinston, NC, then at Mission TX, then Fort Rucker, AL, and others. In Douglas from Aug 1941 to May 1942. He left to go into the Service as an instructor on BT-13’s at Shaw Field. In Mar. 1943 he was at Maxwell as the Air Inspector. Then back to Bush Field 6 months later. He had 250 combat hours off Tinian Island in the Pacific. 42K, 43A, 43C, 43D. He was in Douglas almost the full time the school was in operation. He left in Dec. 1944 to instruct for 6 more months at Arcadia, FL. Union City, New Jersey; later Leesburg, FL. 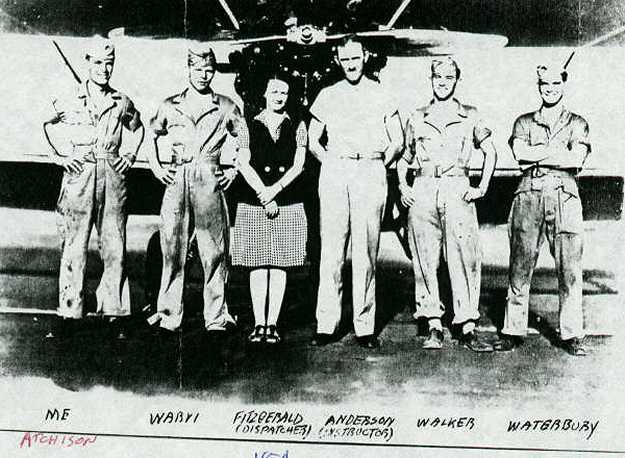 After the War he worked for Wes Raymond in Orlando, FL flying and selling Taylorcraft and Seabee aircraft, and operating land and sea bases until 1948. In Douglas from Oct. 1941 to April 1942. He left to go into active service in the Ferry Command delivering B-26’s overseas. Then he flew the “Hump” for 2 years and 180 missions. In Douglas prior to Oct 1944 and stayed until Dec 1944. 42K, 43A, 43C, 43D, 43E, 43F, 43G, 43H, 43I, 43J, 43K, 44A. He left in Dec 1944 and returned to Lake City where he had a flight school for many years. License #30925 Birth date 3/2/1902. He managed the Lake City airport after the War. Worked at Primary for 4 years at Jackson, MS before coming to Douglas in Mar 1944. Stayed through Nov 1944. He instructed at McBride, MO before coming to Douglas in June 1944. Stayed in Douglas until Dec 1944. Flew for several flying services after the War. 42K, 43A, 43C, 43D, 43E, 43F, 43G, 43H, 43I, 43J, 43K, 44A. Was in Douglas in Oct 1941. Left to go to National Airlines. Flew Dc-8s to CA, NY and Boston. In Douglas prior to Mar 1944 and stayed until Dec. 1944. He then started crop dusting. Douglas classes 43C, 43D, 43G, 43H, 43I, 43J, 43K, 44A. In Douglas from Oct 1942 to Nov 1944. Birth Date 7/12/1904; Death date 1964. Ran a restaurant and display business in Macon. He instructed at Helena, Ark. for 3 years before coming to Douglas in June 1944. He stayed until Dec 1944. He left to instruct in Memphis and New Orleans. Went to Vadiver Flight Service in Akron, OH; later joined the F.A.A. and was in the control tower at Youngstown, OH. In Douglas prior to Oct 1944 and stayed to Dec 1944. Died of a heart attack while instructing cadets at the Kinston, NC Air Force Contract School about 1953 or 1954. In Douglas from Dec 1943 to Dec 1944. He then went to active duty with A.T.C. 3rd Ferry Group, Long Beach, CA. Discharged 1946. In Douglas prior to Oct 1944 and stayed to Dec 1944. He instructed for Ross Aviation at Fort Rucker, AL to 1962. In Douglas in its first year of operation. He left to go to the Navy. After discharge he flew for Gulf Oil Co. at Pittsburg and for other companies. Higginbotham, James M. or N.
In Douglas from Dec 1943 to Dec 1944. He left to go with Bell Aircraft. In 1945 he joined T.W.A. flying the North Atlantic as a Flight Radio Officer. 43G, 43H, 43I, 43J, 43K, 44A. In Douglas from Dec 1942 to Dec 1944. 43E, 43F, 43G, 43H, 43I, 43J, 43K, 44A. In Douglas from Sept 1942 to Dec 1944. Obtained his instrument rating and became a part owner of Zahn’s Airport on Long Island. Was in Douglas prior to Aug. 1944. Left Dec. 1944. 42K, 43A, 43C, 43D, 43E, 43F, 43G, 43H, 43I, 43J, 43K, 44A. In Douglas Oct. 1, 1941 and left Dec 1944. He left to join T.W.A. until Japan surrendered. Obtained his law degree and practiced in Waterloo, Iowa. He retired in 1994 and died in 2002. In Douglas prior to Oct. 1944 and stayed to Dec. 1944. 44C. In Douglas from Aug 1943 to Dec 1944. 42K, 43A. In Douglas from July 1941 to Sept 1942. He left to go with National Airlines. In Douglas from Sept 1943 to Nov 1944. Called to active duty as a private and sent to multi-engine school in Las Vegas, NV. Discharged as a corporal a year later. Instructed at G. I. School at Trion, GA, for 14 months. In Douglas in July 1943 to Dec. 1944. He was 6 months in Miami as a mechanic when he was drafted. Spent 1 year in the A.A.F. as private. Returned to Atlanta and owned / operated Flightways, Inc., Aircraft Parts Corp. and AirRefuel, Inc.
Left Douglas to join the A.A.F. as a cadet. He was discharged as he graduated from Advanced Flying School. 42K, 43A, 43C, 43D, 43E, 43F, 43G, 43H, 43I, 43J, 43K, 44A. In Douglas May 1942-Nov 1944. Left Douglas to instruct for Wes Raymond at Griffin, GA. Then manager of an Army Indoctrination School at Rome, GA. Then W.T.S. at Athens, GA and Bell Aircraft at Marietta, GA. He joined the Navy and was discharged in 1946. Had an airstrip 1 mile east of Jasper. Was in the pulpwood business. 42K, 43A, 43C, 43D, 43E, 43F, 43G, 43H, 43I, 43J, 43K, 44A. Was in Paris, France with Supreme Headquarters Allied Powers Europe (SHAPE) for several years flying generals all over Europe and Africa. Major. Went on to fly Air Force I for the presidents up through Pres. Richard B. Nixon. Flew a Twin Bonanza for the Caterpillar after the War, ending up at Ziegler Caterpillar in MN. In Douglas from Nov 1943 to Dec 1944. He left to go to T.W.A. and made over 1,000 Atlantic crossings. Birth Date 6/5/1920 Retired to a position as Jet Ground School Instructor for T.W.A. in Kansas City. 43J, 43K, 44A. In Douglas Apr 1943 to Dec 1944. After leaving he instructed R.C.A.F. Cadets at Clewiston, FL. Then instructed under the G.I. Bill. Went to National Airlines in 1952 and flew DC-8’s. Instructed at Jackson, Miss. Primary and then came to Douglas in April 1944 to Dec 1944. 43K, 44A. In Douglas from April 1943 to Dec. 1944. Went with F.A.A. and became Chief of Control Tower at Williamsport, PA.
43K, 44A. In Douglas from Oct. 1941 on. Left to fly at Ocala, FL until that school closed.In 1950 he went to the Air Force Contract School at Bainbridge, GA. Flew there until 1957 when he was grounded because of his heart. License#8766 Birth Date 4/29/1903. After the War, flew for a flying service in Ohio. After Bainbridge, he became auditor for the Korean Veterans Bonus (Ohio), then accountant for Doctors Hospital in Columbus, OH. 43C, 43D, 43E, 43F. In Douglas during 1942. He joined the A.A.F. and was killed in a flying accident in a C-47 in England on Dec. 23, 1943. 2nd Lt. S/N: O-521760. Click here for an announcement of his instructing at Douglas. Click here for a larger version of this picture. In Douglas prior to Oct 1944 and stayed until Dec 1944.After the War he did flying, dusting and aerial photo. Died August 24, 1988. Never married. In Douglas from May 1943 to Dec 1944. After leaving he took an instrument course and flight test in NC. Went into real estate after the War. Washington, DC, later of Silver Spring, MD. 42K, 43A. Was in Douglas Dec 1941 to Sept 1942 to join the Ferry Command as a civilian pilot. Commissioned in Nov. 1942. Sent to African Div. of A.T.C. at Accra and Casa Blanca. Then to M.A.T.S. until discharge. Birth Date 6/20/1919. Died Feb. 12, 1967. After the War he flew for American Airlines and Standard Oil. Flew with the Flying Tiger Line and was in the Korean airlift. In Douglas from July 1943 to Oct 1944. He left to become a service pilot. After getting an accounting degree in 1947, he returned to the service. Assigned to Wright-Patterson A.F.B., 3 years in Germany, Sheppard A.F.B. in Texas, 1 year in Pakistan, 3 years in Germany. Became a Capt. and taught R.O.T.C. at Central Washington State College. In Douglas from Dec 1943 to Dec 1944. Went into contracting business after the War. Had about 1,200 hours when he stopped flying in 1953. 42K, 43A. He left in 1942 to join the navy. He later operated Lowe Aviation Service, Piper Dealers, on Cochran Field in Macon. 42K, 43A, 43C, 43D, 43E, 43F. Operated Sumter Airways and was manager of the airport there after the War. Birth Date Nov. 9, 1911. Married Rebas Byrd from Douglas. He was in Douglas from April 1943 to Dec. 1944. He went into crop dusting with Stearmans after the War. 42K, 43A, 43C, 43D, 43E, 43F. In Douglas from Dec 1941 to May 1944. He then went through the Cadet Program and was discharged in 1946. In Douglas from Aug 1943 to Dec 1944. Birth Date 4/13/1912. Flew for a local operation in St. Paul, MN. Died about 1956. 43G, 43H, 43I, 43J, 43K, 44A. In Douglas Jan 1943 to Dec 1944. After leaving he had 10 months active service in the a.A.F. Discharged, he worked for Wes Raymond in Orlando on the G. I. Bill. In 1951 he instructed at a Contract School at Spence Field, Moultrie, GA. In 1963 he worked for Ross Aviation Inc. at Fort Rucker, AL. In 1966 he qualified in helicopters and transfered to the rotary wing, instrument division. In Douglas from May 1943 to Jan 1944. Went with the A.T.C. and was in the C.B.I. Theatre including 9 months flying the “Hump”. Discharged in Mar 1946. In Douglas until Dec 1944. 42K, 43A, 43C, 43D, 43E, 43F, 43G, 43H, 43I, 43J, 43K, 44A. In Douglas from Mar 1942 to Dec 1944. Owned a Stearman after the War and did instruction. Instructed for 2 years at Ocala, FL before coming to Douglas in July 1944. Left in Nov 1944 to return to Flint, MI to fly for the Bishop Flying Service. Later owned McPhillips flying Service at Charlevoix, MI. 42K, 43A. 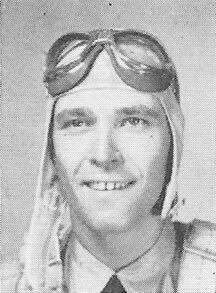 Left Douglas about Nov. 1942 to join the A.A.F. Killed on Nov. 25, 1945 while testing a plane in Van Nuys, CA. 42K, 43A, 43C, 43D, 43E, 43F, 43G, 43H, 43I, 43J, 43K, 44A. He left to fly A.T.C. until the end of the War. License #47117 Birth Date 1/22/1913. After the War he flew for Mohawk Airlines and Modern Airlines. In 1961 he worked for Bendix Aerospace Div. at South Bend, Ind. In Douglas prior to and after Oct 1943. 43I, 43J, 43K, 44A. In Douglas in Feb 1943 until some time after Mar. 1944. Birth Date 10/15/1916, Died Feb. 13, 1965 in Florida. Was in Douglas until Dec 1944. Then he had a flying and crop dusting service and managed the local airport in Morrilton, Arkansas. 43C, 43D, 43E, 43F, 43G, 43H, 43I, 43J, 43K, 44A. Birth Date 9/5/1919 Died of a heart attack in 1955 while instructing cadets at Bainbridge, GA Air Force Contract School. 42K, 43A, 43C, 43D, 43E, 43F, 43G, 43H. He left Douglas to go into the 6th Ferry Group and to fly 120 missions over the “Hump.” After the War he had a G.I. Flying School in Alma, GA.
Death Date Jul. 11, 1993. 42K, 43A, 43C, 43D. Worked for George Brinckerhoff at College Park, MD prior to coming to Douglas. He left to join the Navy in Nov 1942. He was based at the Naval Air Sation at Atlanta, GA. He crashed in 1944. 43K, 44A. In Douglas from Jan 1942 to Dec 1944. He is believed to be in this picture: (click here to see picture). 43C, 43D, 43E, 43F, 43G, 43H, 43I, 43J, 43K, 44A. In Douglas from Oct 1942 to Dec 1944. Went to Reidsville selling auto parts. 42K, 43A, 43C, 43D, 43E, 43F, 43G, 43H, 43I, 43J, 43K, 44A. In Douglas from Oct 1941 to Oct 1943. He left to instruct Basic at Bush Field, Augusta, GA for 11 months. Then to A.T.C. and was all over the U.S. and then to Guadalcanal, Phillipines and Australia. He was discharged as a 1st Lt. in Dec 1946. After the War he crop dusted for 3 seasons at Beaumont, TX. Then flew for a pipe line contractor in Tulsa. In 1956 he set up his company “Aero Service Corp” in the North Tulsa Airport. In Douglas from Aug 1941 to Apr 1942. He helped get the school organized and was a squadron commander. He left to go with the C.I.A. in NC for 3 years. After the War, was back with Wes Raymond’s school in Macon for several years. Then he flew C-46’s for airlines in Miami for 8 or 9 years. 42K, 43A, 43C, 43D, 43E, 43F, 43G, 43H, 43I, 43J. He was in Douglas prior to May 1942 and was there until after Oct. 1943. He was in charge of the mess hall and canteen. 43K, 44A. In Douglas in Apr 1943 until Dec 1943. Killed when riding in a car that was hit by a pulpwood truck about 1959. Marietta, GA. After the War was a Piper distributor for the State of Georgia and Manager of Parkaire Airport in Marietta. 42K, 43A, 43C, 43D. He left Douglas in 1942 to go to the Navy. He received his Navy wings. Flew for Western Co, Western Hatcheries and then Southland Corp.
North, Wayne P. or L.
42K, 43A, 43C, 43D, 43E, 43F, 43G, 43H, 43I, 43J, 43K, 44A. In Douglas prior to Jan 1943 and left after Oct 1943 to instruct Basic at Bush Field, Augusta, GA. Went into crop dusting and a charter operation that flew Twin Beeches and B-17’s between Florida and the islands. 43G, 43H, 43I, 43J, 43K, 44A. In Douglas in Jan 1943 and still there Dec 1943. Later was in the Air Transport Command. Then Capt on a South American Airline and then flew for Texaco Oil in Bogota. Port Washington, NY, later Bogota, Columbia. Birth Date 1/15/1912. Married a Douglas girl. In Douglas prior to Oct. 1943 and stayed until Dec 1944. After the War he continued flying charters and instructional flying. 42K, 43A. In Douglas Oct 1941 to Oct 1942. He left to go to Air Transport Command where he made the rank of Capt. Was discharged in 1946. Operated an instrument flying school at Eustis. Then went into motorcycle speeddrome operation. In Douglas prior to and after Oct. 1944. Birth Date 5/21/1916 Died 1955. 43E, 43F, 43G, 43H, 43I, 43J, 43K, 44A. In Douglas from Dec 1941 to Dec 1943. He left to become 1st Lt. U.S. Marine Air Reserve Personnel Officer at Quantico, VA, Cherry Point, NC and El Toro, CA until 1946. Returned to Columbia College, Columbia, SC as Registrar and Professor of English until 1948. Then went to Old Dominion College of Norfolk, VA. as Dean of Arts and Letters. 42K, 43A, 43C, 43D, 43E, 43F, 43G, 43H, 43I, 43J, 43K, 44A. Left Douglas to instruct Basic at Augusta, GA. In Douglas Aug. 1943 to at least Dec 1943. Killed while landing on his own airstrip in his own PT-23 on June 24, 1951. He is believed to be in this group picture. 43E, 43F, 43G, 43H, 43I, 43J, 43K, 44A. In Douglas from Dec 1942 to Jan 1944. He left to spend 2 years in the Air Transport Command with 11 months in Burma and India. After discharge he went to work for Embry Riddle Flight Training School in Miami, FL as flight instructor. Later moved to Charleston, SC. Married Mildred McDonald of Douglas, GA. He stayed in the Service, going to Ferry Command after leaving Douglas. He retired as Lt. Col. having flown B-52, V.C. and Fighters. 42K, 43A, 43C, 43D, 43E, 43F, 43G, 43H, 43I, 43J, 43K, 44A. In Douglas from Dec 1941 to Oct 1943. He left to go into the Service. Married Jane Kent, who worked in front office at Douglas. 42K, 43A, 43C, 43D, 43E, 43F. He stayed in the Service, becoming a Major and was with S.A.G.E. 42K, 43A, 43C, 43D, 43E, 43F, 43G, 43H, 43I, 43J, 43K, 44A. Started flying in 1935. Came to Douglas in July 1942. Left Dec 1944 to instruct at the Miami Aviation Center for 2 years. After the War flew float planes in Orlando and operated the airport at Thomaston for several years. In Douglas prior to Oct 1944 and stayed to Dec 1944. Became a co-pilot for National Airlines. Instructed for 3 years at Alabama Institute of Aeronautics at Tuscaloosa before coming to Douglas in Oct 1944. Left in Nov 1944 to instruct at Gadsden, AL. Attalla, Alabama, later of Chattanooga. After the War organized G.I. flight schools in FL. Did some crop dusting. Then was at Air Force Primary school at Columbus, MS, and contract school in Mission TX. Later flew officials of N.A.S.A. He was killed along with student, Robert W. Post, when practicing forced landings. Miami, Florida, later in Minneapolis MN. After Douglas flew for Texaco Petroeum in Bogota, Columbia and for an airline in Panama. 43C, 43D, 43E, 43F, 43G, 43H, 43I, 43J, 43K, 44A. He remained in Douglas until Dec 1944. After the War he flew for National Airlines flying DC-8’s. 43K, 44A. In Douglas from Oct 1941 to Dec 1944. After leaving he instructed at Arcadia, FL for 6 months. 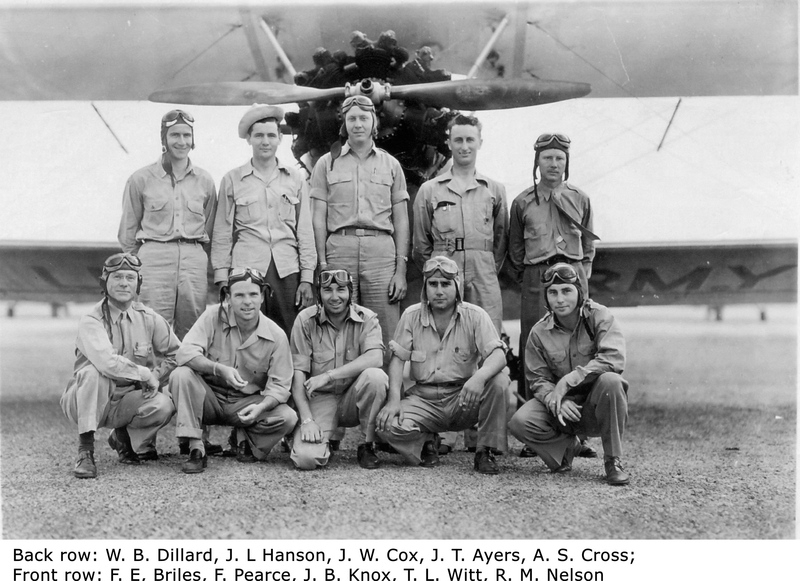 After the War he flew in Jacksonville, FL, then taught a Mechanics School at Gainesville, FL. Then worked full time making and repairing violins. In Douglas prior to Mar 1944 to Dec 1944. In Feb 1945 went with Pan American Airlines flying DC-8’s. Flew extensively between England to Hong Kong and New York to Europe. Bronx, 57, NYC. Later lived in Toms River, NJ. 42K, 43A, 43E, 43F, 43G, 43H, 43I, 43J, 43K, 44A. In Douglas in June and July of 1942. Instructed in Ballenger, TX for one year prior to Douglas. After Douglas he joined the Air Transport Command as a Flight Officer and was discharged in 1945. Bronx, NY. Later was in Livonia, MI. After the War was Chief Pilot for a G.I. Flight School at Rockaway, L.I., N.Y. Flew for various airlines after that. In 1966 volunteered for a tour in Saigon, South Vietnam and was back in U.S. in 1967. In Douglas in Oct 1943 and left Nov 1944. Detroit, Michigan, later of Orlando, FL. 42K, 43A, 43C, 43D, 43E, 43F, 43G, 43H, 43I, 43J, 43K, 44A. In Douglas from Oct 1941 to Dec 1944. After the War he returned to NJ where he operated a sea plane base. Then to Florida and the crop dusting business. Also instructed at Embry Riddle Institute of Aeronautics at Daytona Beach. 43E, 43F. In Douglas from Feb 1942 to Feb 1943. Left to get a commission. He taught Basic at Gunter Field, AL. Then Operations Officer and C.O. of Hdqts. Flight of the Allied Expeditionary Forces during the Normandy Invasion. After the War, was Senior Contract Rep for the V.A. for 6 years. Retired to New Port Richey, FL. Married Dorothy Hall of Douglas, GA.
43C, 43D, 43E, 43F, 43G, 43H. He stayed in the service after leaving Douglas. Later assigned to Hdqts. N.O.R.A.D. at Ent A.F.B., Colorado Springs, CO. Was a command pilot flying jets and piston aircraft. Transferred to Thailand and returned to Hickham Field Hawaii. 42K, 43A, 43C, 43D, 43E, 43F, 43G, 43H, 43I, 43J, 43K, 44A. In Douglas from Dec 1941 to Dec 1944. After the closing went to Embry-Riddle Primary School at Arcadia, FL and instructed 6 months. After War worked for Roscoe Turner Aero. Corp, Beechcraft Distributors, Indiana. Married Tannie Hancock of Alma, GA. In Douglas in Aug 1943 with class of 44C. Left Douglas after Dec 1943 to go to Ferry Command. After the War went to U of MN forestry school and joined Forestry Service. Dispatcher and Ground School Instructor – Engines. Was at Douglas prior to and after Oct 1943. 43E, 43F, 43G, 43H, 43I, 43J, 43K, 44A. In Douglas starting in Dec 1942. Killed while instructing a student at Douglas. 43G, 43H, 43I, 43J, 43K, 44A. In Douglas from Jan 1943 to Dec 1944. 42K, 43A, 43C, 43D, 43E, 43F, 43G, 43H, 43I, 43J, 43K, 44A. In Douglas from May 1942 to Dec 1944. Went to Arcadia FL to instruct. Then flew for Trans-Tropic charter. After the War became a draftsman for Westinghouse in Baltimore. Then did some instructing at Fort Meade Flying Club. Martinsburg, West Virginia, later Reisterstown, MD. 43K, 44A. In Douglas from Jan 1943 to Dec 1944.After the War got his instrument rating and crop dusted. Then Civil Service at the Great Lakes Naval Air Station in electronics supply. Got optometry degree and practiced out of his home. 43H, 43K, 44A. In Douglas from from Feb 1943 to Dec 1944. Then went with Pan American Airlines and spent 4 years in San Francisco flying Pacific routes, 2 years in Miami flying South American runs and 1 year in New York flying to Europe. 43C, 43D, 43E, 43F, 43G, 43H, 43I, 43J, 43K, 44A. In Douglas from Mar 1942 to Mar 1944. He left to become a Flight Officer in A.T.C. Flew C-46’s in the Pacific area and C-47’s in Europe. Discharged in 1946. After his service he bought and sold aircraft. then joined Boeing-Vertol as a mechanic, later crew chief. In Douglas from June 1943 to Dec 1944. He left to spend 6 months in A.T.C. in Miami, FL. Then 3 months instructing G. I. students at Griffin, GA. then he was drafted into A.A.F. Spent 1 year at Keesler Field, Miss. and was discharged. After discharge he joined Southern Air Charter in Atlanta for 6 years. Then flew Test Pilot for Aero Corp for 5 years. In Douglas from Sept 1941 to Oct 1942. He left to go to National Airlines. Later he flew jets to Los Angeles and back. 43C, 43D, 43E, 43F, 43G, 43H, 43I, 43J, 43K, 44A. In Douglas from Aug 1942 to Dec 1943. Operated a machine shop and did some flight instruction after the War. 42K, 43A, 43C, 43D. In Douglas from Oct 1941 to Oct 1942. Left to go to the Navy where he received his Navy Wings. Discharged in 1946. 42K, 43A. In Douglas Oct 1941 to Oct 1942. Went with American Airlines and flew in the overseas division for 3 years. Later flew jets and had over 22,000 hours flying. 43K, 44A. In Douglas in Jan 1943 to Dec 1944. He returned to Rock Hill, SC. In 1951 started flying for Southern at the Contract School at Bainbridge, GA. Later was flying an Aero Commander for Shepard Const. 42K, 43A. In Douglas from Aug 1941-Oct 1942. He left to go to the Central Instructor School at Maxwell Field. Then to Ft Meyers gunnery school. He was commissioned and went to N. Africa and the C.B.I. Theater. Then to Bolling Field, Washington, D.C. He commanded the 1402 Sqdrn at Andrews A.F.B. until discharge as a Major in 1958. While in Florida, he obtained a baby lion from a girl whose father raised lions for Ringling Bros. When the lion grew big enough to be a burden Vic sent the lion to Arthur S. Cunningham at Douglas. The lion was named “Baby” and ate the scraps from the kitchen since rationing was so tight. The lion was said to have gone everywhere the pilots did. After the War, the lion ended up on a farm in Douglas with Caesar Miles’ girlfriend. Caesar eventually killed the lion after the lion had killed one of his pigs. He remained in the Reserves after discharge. Flew at Nashville, Tn, Darr Aero at Albany and Augusta prior to coming to Douglas in Sept 1944. He left in Dec 1944 to work at the Manteno State Hospital (Kankakee County, Illinois) power house. 42K, 43A, 43C, 43D. In Douglas from Dec. 1941 until Dec 1942.He married Gloria King of Douglas. He became a pilot for General Motors in 1951. 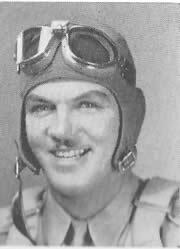 He was in the Civilian Pilot Training program and then instructed Primary at Bennettsville, SC before coming to Douglas in Nov and Dec 1944. After the War he flew DC-3s for T.W.A. Then he instructed on the G. I. Program at Teterboro, NJ. Then he flew for the Shulton Corp.
Was in Douglas prior to and after Oct 1943. Instructed Primary at Americus, GA from 1942 until coming to Douglas in June 1944. He left in Dec 1944 to instruct British cadets at Clewiston FL until Aug 1945. 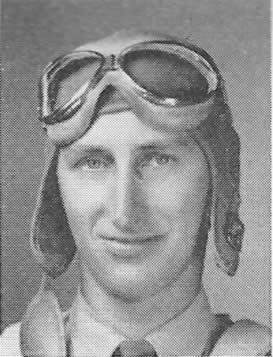 He came to Douglas in Aug 1943 and left in Dec 1944, going into the lumber business in Douglas, Ga.
Flew anti-submarine patrol (Civil Air Patrol base #18) from Cape Cod, Sept 1942-Oct 1943, when he came to Douglas. He left in Dec 1944 and returned to C.A.P. tow target sqdn #22 at Rehoboth Beach, Del. In Mar. 1945 he started instructing at airports in PA and MA. In 1946 he went into the trucking business. After the War did charter and flight instruction at Kansas City, MO. Then joined Arabian-American Oil Co., located in Dahra and Bierut, then New York City. Then worked for Aramco in Lebanon. 42K, 43A, 43C, 43D, 43E, 43F, 43G, 43H, 43I, 43J, 43K, 44A. At Douglas from Dec 1941 to Dec 1944. He joined T.W.A. in Feb 1945 flying 727’s across U.S. Previously flew in Cairo, Lisbon, Madrid, Paris, Rome, Bombay and Ceylon for 9 years. 42K, 43A, 43C, 43D. Instructed at Parks Air College, St. Louis, MO and Orangeburg SC before coming to Douglas in July 1941. He left in Oct 1942 to join the Navy at Atlanta where he instructed instruments for 2 years. Then went to a PBY squadron. In Oct 1948 to June 1949 flew the Berlin airlift. Then flew a V.I.P. squadron and other duties. Discharged Lt. Comm. in 1957. After discharge worked for the F.A.A. on supersonic transport aircraft. In Douglas from Apr 1943 to Dec 1944. After leaving he went to work for the Chattanooga Warehouse and Cold Storage Co. doing air conditioning work. Did charter and instructional flying during spare time. Later flew full time for Harry Porter Flying Service and other companies. In Douglas from Mar 1943 to Oct 1944. Went into active duty. Was discharged in 1946. 43C, 43D, 43E, 43F, 43G, 43H, 43I, 43J. Taught Meteorology and Aircraft Identification. After Douglas Sam ended up in Rock Hill, SC to work for a lumber company. Married to dispatcher Neely M. Todd. 43E, 43F, 43G, 43H, 43I, 43J, 43K, 44A.In Douglas from Oct 1942 to Nov 1943. He went to A.T.C. as a civilian pilot. In Aug 1944 became a Flight Officer and flew the “Hump” for 1 year (received an Air Medal). After the War he instructed for Baker-Eberly at the Detroit City Airport, then flew for the J.B. Webb Co. In Douglas from June 1943 to Nov 1944. Then established a local flying service at Gulfpoint, MS, mainly flying Seabees to service off shore oil wells. 42K, 43A, 43C, 43D, 43E, 43F, 43G, 43H, 43I, 43J, 43K, 44A. In Douglas from Oct 1941 to late 1942. 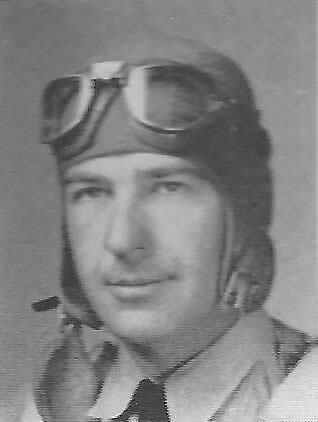 He left to become a Service Pilot, then took Officer Candidate School and instructed at Randolph Field, TX until 1944. Then at Goodfellow Field until the end of the War. Birth Date 2/22/1915. Died 3/25/1995. In 1946 he had a G.I. flight school at Uvalde, TX. Then instructed at an Air Force contract school from 1951-1959. 43C, 43D, 43E, 43F, 43G, 43H, 43I, 43J, 43K, 44A. Left Douglas in Dec 1944. Returned to Cedartown, GA where he owned and operated a G.I. Flying school. Birth Date 11/26/1914; Died 01/12/2001. In 1949 started instructing in the Air Force contract school at Columbus, MS; then to A.F. contract school in 1952 at Mission, TX; then to Fort Rucker Army flight school at Dothan in 1960. He instructed at Camden, SC before coming to Douglas in Oct 1944. He stayed through Nov 1944. In Douglas about Oct 1942 to Dec 1944 to go into the Air Force, taking up radio and Radar, eventually electronics. Discharged in 1946. After the War did charter flying, crop dusting. In Douglas prior to July 1943 until Dec 1944. Became an airport manager for East Coast Flying Service and later Air America in the Far East. Was at Douglas for the entire time the base was used to train cadets (1941-1944). Went into A.T.C. for 9 months. Then flew for Brown’s airport in Miami and began building homes in Miami. 42K, 43A, 43C, 43D, 43E, 43F, 43G, 43H. Went into the A.A.F. and was killed in a C-46 in flying accident in Iran. License #97650-41 Birth Date 9/21/1915, Death Date Feb. 18, 1945. Jacksonville, FloridaIn 1946 he started flying back in the U.S. Returned to Waycross and had an air service. 42K, 43A, 43C, 43D. One of the first 10 instructors at Douglas in July 1941. Left in Oct 1943 to go on active duty with the Army Air Corps. Returned to civilian status in Oct. 1945. Became a Lt. Col. in the A.F. Reserve completing 20 years. 42K, 43A, 43C, 43D, 43E, 43F, 43G, 43H, 43I, 43J, 43K, 44A. In Douglas Oct 1941-Nov. 1944. Returned to Baltimore where he instructed on the G.I. Program. Worked with heavy machinery. On the side he performed in air shows with a clipped wing Monocoupe Cub and 450 HP Stearman. Soloed in 1935 and instructed for 3 years at Avon Park, FL Primary school before coming to Douglas in Nov to Dec 1944. He left to go to Moultrie, GA where he instructed in the G.I. program for 2 years and was also a flight examiner. Later did crop dusting, then to New York where he flew to do power line inspection. Became an Industrial Engineer with I.B.M. Married Mary Elsa Van Aken in Kingston, NY. Jan. 9, 1960. Instructed for 2 years at Avon Park, FL before coming to Douglas in Oct. 1943. 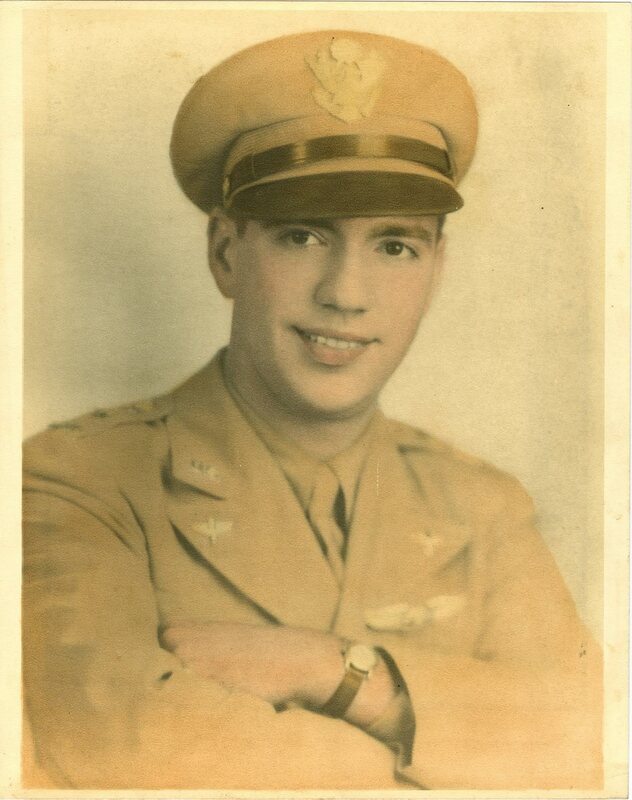 Left in Nov 1944 to go to Orlando, FL where he flew and did maintenance work for a local fixed base operator. In 1948 went to Cleveland Ohio where he joined American Airlines as a mechanic. Later moved to Tulsa, OK. Birth Date 3/10/1910, Death date before Oct 1962. In Douglas prior to Oct 1944 and left Dec 1944. Later he managed Cumberland airport for several years and then started a body and fender shop in Cumberland. 42K, 43A, 43C, 43D. Left Douglas in 1942 to join the Navy. After his discharge he had the Willis Motor Court at Griffin, GA.
43G, 43H, 43I, 43J, 43K, 44A. In Douglas Jan 1943 to Dec 1944. 42K, 43A, 43G, 43H, 43I, 43J, 43K, 44A. Started in Douglas Dec. 5, 1941 to Dec 1944. Went to work in the Bell Bomber Plant at Marietta, GA. Returned to Douglas to operate a chenile bedspread plant in hangar 2 until summer of 1948. Also flew for Willie Joe Duke on the G.I. program. In about 1950 worked at Spence Field, Moultrie, GA as flight instructor, eventually being promoted to Asst Director of Flying. Went to Fort Rucker and became a helicopter pilot, staying at Fort Rucker as Director of Safety. 43C, 43D, 43E, 43F, 43G, 43H, 43I, 43J, 43K, 44A. In Douglas from about Nov 1942 to Dec 1944. Instructed at Ocala, FL Primary School before coming to Douglas in Oct 1944. Left in Dec 1944. In Douglas Dec 1942-Feb 1943. He left to teach Basic at Greenville, Miss. Became a 2nd Lt. in the 8th Air Force, 1st Fighter Wing, as an experimental Test Pilot. Also became a Sqdn Commander with service in Normandy, Paris and Germany. Became a Colonel and was Commander of the Air Force Reserve in SE New England. In Douglas in July 1943 and stayed until at least Dec 1943. He was killed in a DC-3 while in the Service. 42K, 43A, 43C, 43D, 43E, 43F, 43G, 43H, 43I, 43J, 43K, 44A. In Douglas since 1941. Left to join the Air Force and had a tour of duty in India. 42K, 43A, 43C, 43D, 43E, 43F, 43G, 43H. In Douglas from about Oct 1941 to Mar 1943 when he went to the C.A.A. (Now F.A.A.). Went with National Airlines in 1950. 42K, 43A, 43C, 43D. In Douglas Sept 1941 to Nov 1942 to join the Navy. He received his Navy Wings, was a full Lt. Discharged Dec 1945. After the War he did flight instruction and then went with Trans Caribbean Airlines and flew DC-8s to Puerto Rico, Aruba and Europe from New York. Soloed in 1931. Instructed Primary at Helena, Ark from Mar 1942 to July 1944 when he came to Douglas. Left in Dec 1944 to go to Charleston, SC to operate a local flying service. In Douglas in Oct 1944 to Dec 1944. Worked at Northwest Airlines after the War, flying DC-6’s and DC-7’s to Chicago, NY, Washing, Seattle and Winnepeg.